Come in Today to Browse our Selection of Window Shutters! For more than two decades, Headway Specialties has provided the West Texas area with custom window coverings and treatments. We offer window blinds and window shutters throughout Midland, TX and Odessa, TX and as far as Oklahoma, New Mexico, and beyond. We have built a solid reputation based on quality, from the quality of our customer service to the quality of the products that we deliver. Our staff has the knowledge and the proper tools to provide you with the proper treatments in accurate sizes. No matter how many treatments you need, and no matter the size of your windows, we can provide you with a perfectly-fitted solution. Not all window treatments are created equally. There are an array of styles and types available to you, specifically designed to serve different purposes. We offer solutions that will allow you to take control of your windows, all while accentuating the décor of your home. Discover modern and classic window treatments at Headway Specialties. Call us today for custom shutters! Whether you seek privacy, room darkening, light filtering, or textured accentuation, we offer a wide selection of window coverings for you to choose from. Find the best style to suit your space with us. No matter your window sizes, we offer versatile treatments to complement your home and needs. 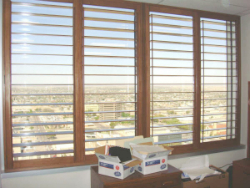 At Headway Specialties, you’ll find blinds, window shades, and shutters in many sizes and styles. We will help you to select the ideal treatments for your windows and your needs. We’ll take your style, budget, and desires into consideration when guiding you through the purchasing process. Updated window treatments offer an ideal solution to completely changing the look and feel of a room in your home. Rely on us for window shades & more! We offer window blinds from the top brands! Window blinds offer a custom-sized, modern window-covering solution. They help to stop radiant heat from entering your home. 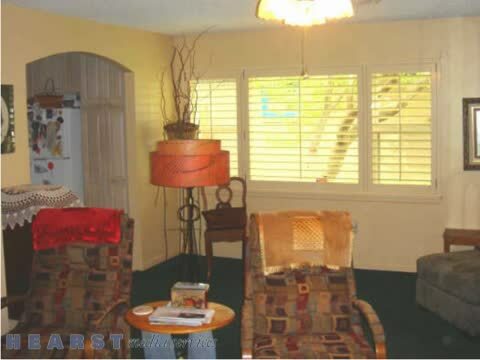 They also offer a versatile balance between shutters and shades, and can be customized from the ground up. Available in a variety of materials, purposes, and styles, blinds add a custom, clean-cut look to any space in your home. Shades are available in a variety of styles, offering solutions for nearly every aesthetic taste. Shades are extremely versatile, as they are both functional and decorative. We have room-darkening options and options to insulate your space and increase your energy savings. They can be used as standalone window treatments or layered with complementing window coverings and decorative accessories to add depth and versatility. Shades are great for any room in your home and can be matched to any style and functionality you desire. We offer a large selection of window shutters, both beautiful and durable, and available in a variety of sizes, styles, and colors, including plantation shutters. Shutters have the ability to complement modern, traditional, and contemporary homes and have become synonymous with high home fashion. They make indoor spaces cooler during the summer and warmer in the winter, keeping heating and air conditioning bills lower. 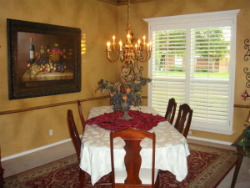 Choose us when you need plantation shutters, custom shutters or any other kind of window shutters! Let’s get started on your new window coverings, together! Each and every order that we receive is custom designed to fit each window or door that the covering will be installed on. Contact our experts today to experience excellent, friendly, personal, and quality customer service. 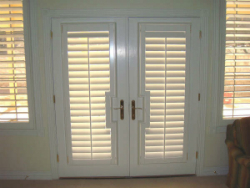 When you visit us, you’ll quickly realize the headway that we’ve made in the custom shutters and blinds industry. For all of your window coverings needs, let our Headway Specialties team help to make your space beautifully functional!